Assemble all ingredients and required items before starting. Review the instructions provided with the cannabis oil you purchased from a licensed producer in order to determine the volume of cannabis oil you will be adding to your recipe. Take the large package of ingredients and empty it into a small saucepan. Add three full tablespoons of water (45 ml). Stir thoroughly with a wooden spoon. Turn heat to medium-low and bring the mixture to a steady, gentle boil. Let the mixture simmer undisturbed for exactly 4 minutes. After 4 minutes, remove the mixture from heat, wait 30 seconds, then add the pre-determined volume of cannabis oil. Stir the mixture thoroughly. Use the dropper to transfer the liquid mixture into the mould. Fill each mould ¾ of the way, then go back and top them up. Put the mould in the fridge for 24 hours. After 24 hours, remove the gummies by turning the mould inside out. To complete, roll each gummy in the finishing sugar. Place your gummies in a storage container. Label your container with the date and dose information. Gummies stored in the fridge will last for several weeks and gummies stored in the freezer will last for several months. Cannabinoids are light sensitive; store cannabis edibles in a cool, dark place. Download the full instructions sheet here. I have tried all four of the flavours now and the “Punchy Pink Grapefruit” is my favorite! Any plans for future flavours? Keep them coming and I will keep sampling. Always good. Shipping is a bit high though. 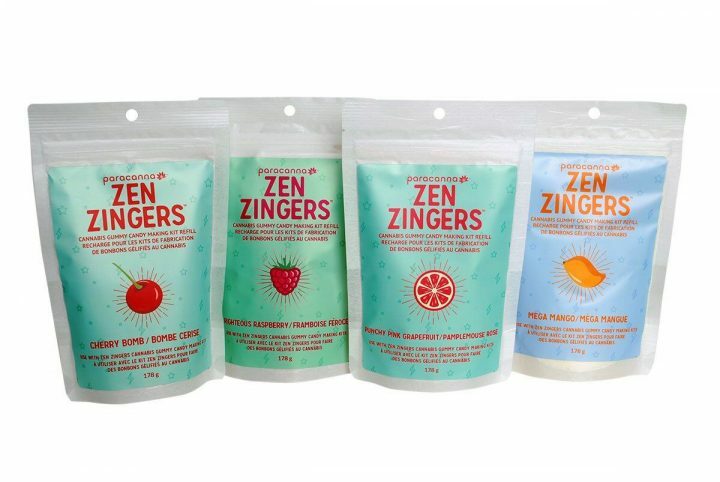 Great tasting gummies. Will try the other flavours too.